LOS ANGELES, CA – FOX Sports Films is excited to present “MAGNIFY”, a new feature-length documentary series, leveraging sports as a lens for examining important cultural stories. The films’ deep explorations of athletes’ on and off-the-field journeys connect to the challenges, change and unity that sports can bring to communities. The first documentary in the series is “89 Blocks” (82 minutes) airing Sunday, November 26 on FOX. The film, executive produced by Time Inc.’s SPORTS ILLUSTRATED with LeBron James and Maverick Carter’s UNINTERRUPTED, brings an authentic perspective to the story of the East St. Louis High School Flyers football team — the pride and joy of a complex, at-risk Illinois community. This look at their exceptional challenges and heartwarming triumph during the 2016 season is directed by Emmy winner Josh Oshinsky. “Shot in the Dark” is the second feature film in the series, airing February 2018, produced by Los Angeles Media Fund and executive produced by Dwyane Wade and Chance the Rapper. Set against their hometown of Chicago, the film follows Orr Academy’s high school basketball team and its stars Tyquone Greer and Marquise Pryor as they aspire for greatness under inspirational head coach, Lou Adams, while facing systemic injustices that threaten to claim their future. Future series documentaries will include a film about the Brazilian soccer club Chapecoense’s tragic plane crash in Colombia one year ago and a look at Deion Sanders, one the most famous, talented and polarizing athletes of the last 25 years. FOX Sports is the umbrella entity representing 21st Century FOX’s wide array of multi-platform US-based sports assets. Built with brands capable of reaching more than 100 million viewers in a single weekend, FOX Sports includes ownership and interests in linear television networks, digital and mobile programming, broadband platforms, multiple web sites, joint-venture businesses and several licensing partnerships. FOX Sports includes the sports television arm of the FOX Broadcasting Company; FS1, FS2; FOX Sports Regional Networks, their affiliated regional web sites and national programming; FOX Soccer Plus; FOX Deportes and FOX College Sports. 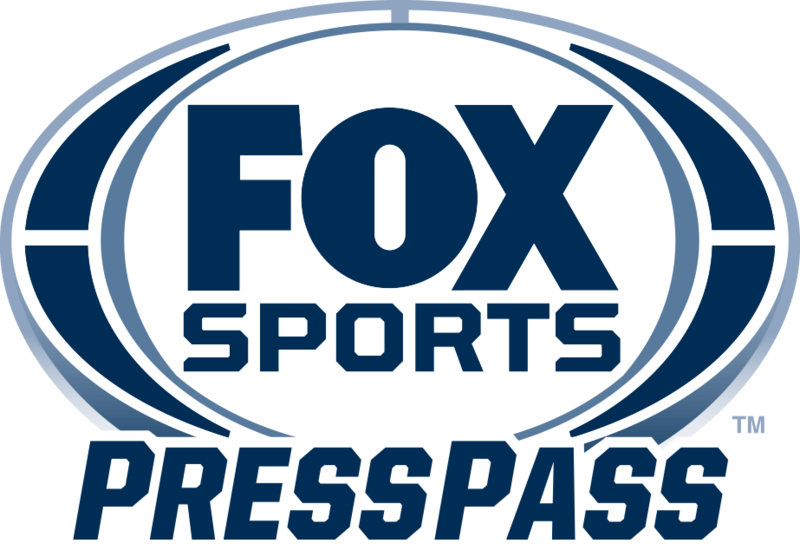 In addition, FOX Sports also encompasses FOX Sports Digital, which includes FOXSports.com and FOX Sports GO. Also included in the Group are FOX’s interests in joint-venture businesses Big Ten Network and BTN 2Go, as well as a licensing agreement that established the FOX Sports Radio Network. Time Inc.’s SPORTS ILLUSTRATED is the preeminent journalistic enterprise covering the world of sports both on and off the field. Debuting in 1954, SI has garnered worldwide acclaim for its award-winning storytelling born from an independent voice and for its unparalleled access to the most popular athletes and newsmakers from the sports world. This is the underpinning of the Group, which boasts a collection of best-in-class consumer products, platforms and businesses. The SPORTS ILLUSTRATED Group features the most-read sports magazine, a top 10 sports digital network and marquee franchises and properties including SPORTS ILLUSTRATED SWIMSUIT, The MMQB, Planet Fútbol, the FanSided Network of sites and apps, Sportsperson of the Year, SI Fashionable 50, SI EATS, SI Kids, GOLF Magazine and GOLF.com. For more information, visit SI.com and follow @SINow on Twitter, @SportsIllustrated on Instagram and Facebook and SI_mag on Snapchat. Founded by LeBron James and Maverick Carter, UNINTERRUPTED is a digital media company totally dedicated to athletes, fans, and lovers of sport. Producing a wide range of unique, creative, and captivating content, UNINTERRUPTED empowers athletes to let the world see what they see, develop their most creative ideas, and tell the stories most important to them. As sports media and cultural influence continues to expand, UNINTERRUPTED is committed to the voice of athletes and the audience that wants to go deeper. LAMF was launched in September 2014 by Jeffrey Soros and Simon Horsman with a mandate to finance and produce an eclectic slate of highly commercial feature films with individual budgets of up to $50 million, as well as scripted and unscripted content for television and other platforms, and live events. LAMF recently wrapped production on JULIET, NAKED based on the Nick Hornby novel; directed by Jesse Peretz, it stars Ethan Hawke, Rose Byrne and Chris O’Dowd, and is produced by Soros, Judd Apatow and Barry Mendel, Albert Berger and Ron Yerxa. LAMF’s recent feature film releases include THE SPACE BETWEEN US, and the horror film, THE BYE BYE MAN. Netflix has acquired global rights for LAMF’s dance comedy, STEP SISTERS, directed by Charles Stone (DRUMLINE), and Saban Films will release the Jim Carrey-starring thriller, DARK CRIME in 2018. LAMF has also formed a new entertainment company called Invent Media, to concentrate on the development, production and financing of unscripted series and other compelling content for television and OTT platforms, as well as the production of live events on a worldwide basis.